July 16, 2012 –Huntington, WV – In an effort to provide a foundation to identify severance tax best practices, and create a long-term financial legacy for Central Appalachian communities, the Central Appalachia Regional Network (CARN) has completed the Central Appalachia Severance Tax Policy Scan. 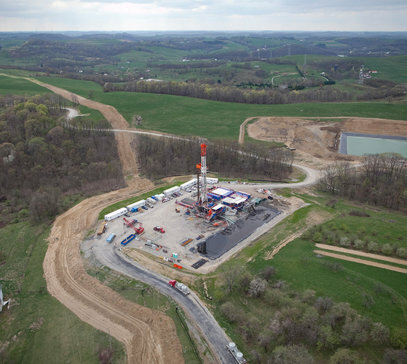 The scan outlines the severance tax policies in the six states CARN serves – Kentucky, Maryland, Ohio, Tennessee, Virginia and WestVirginia – and is the first of its kind to assess and compare these policies in each state. The scan compiles data about each state’s policy, including which agencies oversee disbursement of revenues, which minerals are taxed, the rate at which they are taxed and the total annual revenue each state receives from the taxes. A permanent trust fund should be created in each of CARN’s six states with severance tax dollars. Alaska, Montana, Wyoming, New Mexico, North Dakota and Utah have established permanent funds, some as long ago as the early 1970s. As the West Virginia Center for Budget and Policy pointed out, those states are now reaping the benefits of millions, and sometimes billions, for state programs. A permanent fund in Central Appalachia would allow a percentage of collected severance taxes to be saved. The interest on these savings could be used to fund public projects long after the mineral resources of those states have been depleted. CARN advocates that a minimum of 1 percent of severance taxes collected be placed in these permanent funds for use by and for the communities from which the resources were extracted. If Kentucky, Maryland, Ohio, Tennessee, Virginia and West Virginia had implemented a permanent fund in 1990, it would have generated about $1.4 billion in earnings to date. The permanent fund could contribute to sustaining Central Appalachian communities for future generations by establishing a lasting economic legacy. To download the Central Appalachia Severance Tax Policy Scan and CARN’s policy recommendations, visit http://www.CARNnet.org. This entry was posted in Uncategorized and tagged fund, kentucky, mineral tax, ohio, oil and gas, oil and gas tax, permanent fund, severance tax, shale development taxes, taxes, west virginia. Bookmark the permalink.